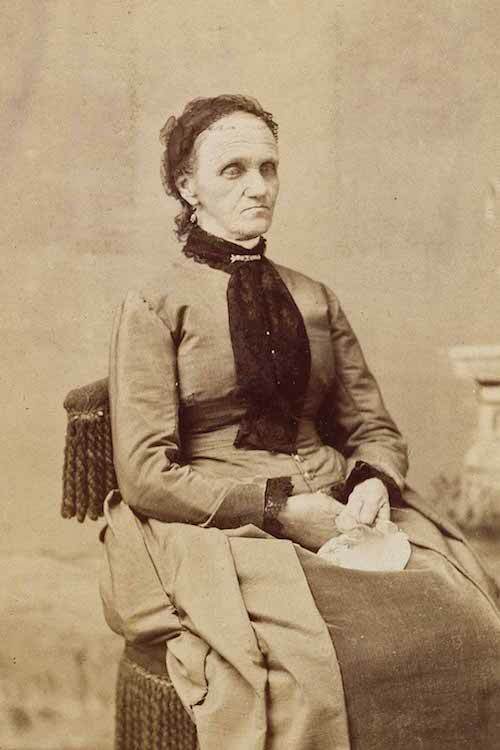 Lucy May Sackett, daughter of Daniel Sackett and Abigail Smith, was born in New York StateG on 14 October 1823.1,2,3 She died aged 69 in Kimball, St Clair County, MichiganG, on 7 December 18924,5 and was buried at Mallory Cemetery, KimballG.6 She married Parker M Brown, son of Daniel Brown and Elizabeth French.7 He was born in New HampshireG on 6 June 18167,6 and was buried at Mallory CemeteryG.6 He died aged 70 on 28 September 1886. Patricia Layfield, Terri Carlson, Jeanette M Otis, Aimee Haber and Judith Modugno. Email from Patricia Layfield to Sackett List, August 2009, (year and place). Daniel Sackett (1788–1862) Family Bible, Jefferson, Ashtabula County, Ohio, "Lucy M. Sackett Born Oct. 14th 1823." Email from Patricia Layfield to Sackett List, August 2009. "Michigan Death Records 1867–1950", digital image, Ancestry.com, "Brown, Lucy M, d. Kimball, St Clair County, Michigan, 7 Dec 1892, married, age 69-10-21, cause La Grippe, b. NY, housekeeper, parents Daniel Sackett & Abigail Sackett of NY." Email from Terri Carlson to Sackett List, October 2009. Brown, Lucy M, 50, at home, b. OH. Mallory, Cora D, gdau, 10, at school, b. MI, father b. Canada, mother b. OH.